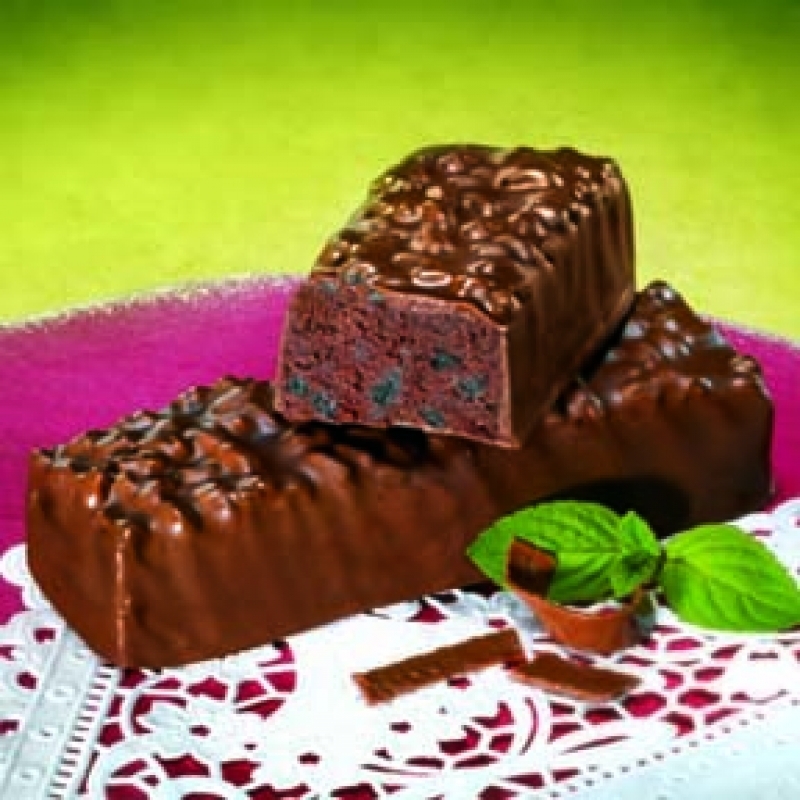 The Opti Weight Loss Peppermint Cocoa Crunch Bar is delicious and it has received Rave Reviews! Each bar has 15 grams of protein, 5 grams of fiber and only 160 calories. 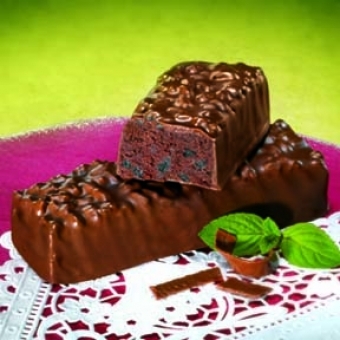 Protein Blend (Soy Protein Isolate, Whey Protein Isolate, Casein, Calcium Caseinate, Partially Hydrolyzed Milk Protein Isolate), Maltitol Syrup, Cocoa (Process With Alkali), Fructose, Sugar, Water, Polydextrose, Whey Protein Concentrate, Fractionated Palm Kernel and Palm Oil, High Oleic Sunflower Oil, Fructooligosaccharides, Glycerine, Soy Lecithin, Natural and Artificial Flavors, Maltodextrin, Nonfat Milk, Milk Protein Concentrate, Salt, Tapioca Starch, Calcium Carbonate, Butterfat, Sucralose, Ascorbic Acid, Carrageenan, Ferric Orthophosphate, Tocopherols (To Protect Flavor), Alpha Tocopherol Acetate, Soybean Oil, Niacinamide, Zinc Oxide, Copper Gluconate, Calcium Pantothenate, Vitamin A Palmitate, Pyridoxine Hydrochloride, Riboflavin, Thiamin Mononitrate, Folic Acid, Biotin, Potassium Iodide, Vitamin B12 (Cyanocobalamin). May contain traces of peanuts and other nuts.